The southeast of Turkey is being transformed by the ambitious and controversial water scheme known as GAP. Since the 1980s 22 dams and 19 power plants have been built on the Tigris and Euphrates rivers, and GAP – or the Southeast Anatolia Project to give it its full title – is now nearing completion. By 2015 the Turkish government hopes that GAP will double Turkey’s irrigated farmland, produce over a quarter of its electricity and bring social benefits to the impoverished population in the nine provinces affected, 90% of whom are Kurdish. For decades Turkey has been wrestling with its Kurdish problem in the southeast of the country. Since 1984 over 45,000 lives have been lost in the skirmishes between the Kurdish separatist group known as the PKK and the Turkish army. In April this year however, after months of negotiations, Turkish Prime Minister Erdogan and jailed Kurdish leader Abdullah Ocalan reached an agreement that, if fully implemented, will end the 30 year old conflict. In exchange for greater recognition of Kurdish rights, the PKK agreed to withdraw to Iraqi Kurdistan. The withdrawal is ongoing, but slow, with only 20% so far having left. The peace process is fragile, and downstream in the Kurdish parts of Syria, unpredictable forces have been unleashed by the ongoing civil war. Will the GAP project help or hinder? Soreyya, a mature stylish teacher from Istanbul, is one of a steady trickle of cosmopolitan Turks now venturing cautiously eastwards. She wants to explore the other half of her own country. ‘I had no idea it was so civilised!’ she tells me, as we sample an exotic lakeside breakfast at the half-submerged village of Halfeti. ‘My friends thought I was crazy to come this far east. They said I would hate it, but I love it,’ she says, putting her bare bejewelled arm maternally round young Zafer, our beaming Kurdish host. ‘Yes, we are learning to understand each other,’ he affirms. 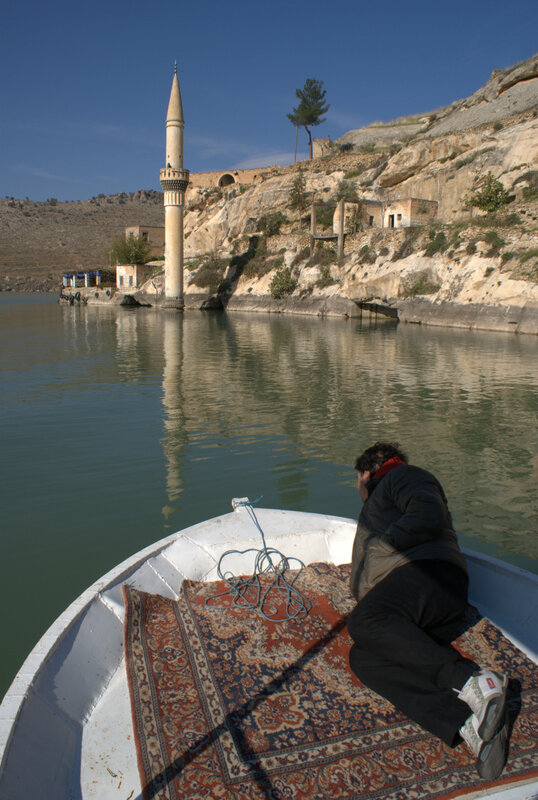 We have just enjoyed an early morning boat ride to Rumkale, a mighty Byzantine fortress on the Euphrates, now stranded on an island by flooding. Drowned in the valleys all around, lie hundreds of other sites, their archaeological treasures lost, stolen or transferred hastily to local museums. Flooding is a not a new phenomenon in Eastern Turkey. It began with the epic deluges described in the stories of Gilgamesh and Noah, though unlike those cataclysms of nature, today’s version, the equally epic GAP project, has been decades in the planning. The Turkish government hopes it will redress the balance in living standards between the poverty-stricken Kurdish southeast provinces and the wealthier western parts of the country, by bringing employment and prosperity. ‘You mean the Kurdish farmers get nothing?’ I ask. Further east in the Tigris gorge at the ancient city of Hasankeyf, I sit with Kobe, a gloomy Kurdish cafe owner whose livelihood will shortly disappear under 70m of water when the controversial Ilisu Dam is completed. Perversely, while some have too much water, others have too little. Downstream in the broken jigsaws of Iraq and Syria – whose Kurds are also striving for autonomy – GAP, according to UN sources, has already led to a 40% reduction in water flow. The recent exodus of Syrian Kurds into Iraqi Kurdistan was driven not just by fighting, but by lack of water. Turkey, controller of the headwaters of the Tigris and Euphrates, can turn the tap off – or on. More difficult to control are its Kurds, some 10-12 million of them and growing. Kurdish birth rates are legendary. ‘And most of the water,’ I add softly. His troubled face breaks into a smile. 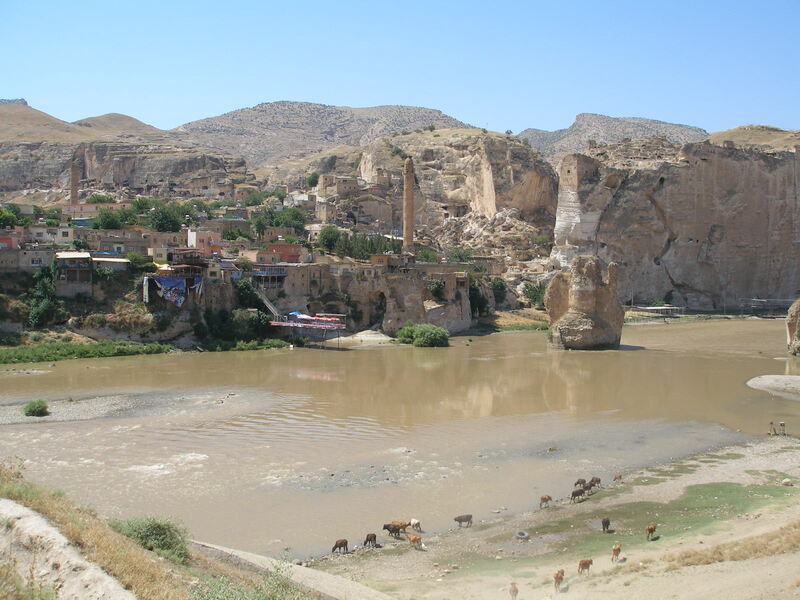 As I wave goodbye to Kobe – and to Hasankeyf before it vanishes forever – I can’t help thinking that a whole flood of western Turks like Soreyya will need to come quickly to the east, to understand their Kurdish countrymen better and to save Turkey’s fragile peace process with the Kurds. Otherwise not just the landscape, but the entire regional map may be reshaped – by the most powerful weapon of all , water.